Christmas is a magical time to be travelling around Europe. As the days get shorter and colder the main squares of many cities turn into stunning festive markets. This is especially the case in Germanic Europe where every village, town and city decks the halls, lights up the town centre and fills it with Christmas Markets. While many of us dream of jingling around the European Christmas Markets not everyone can make it. 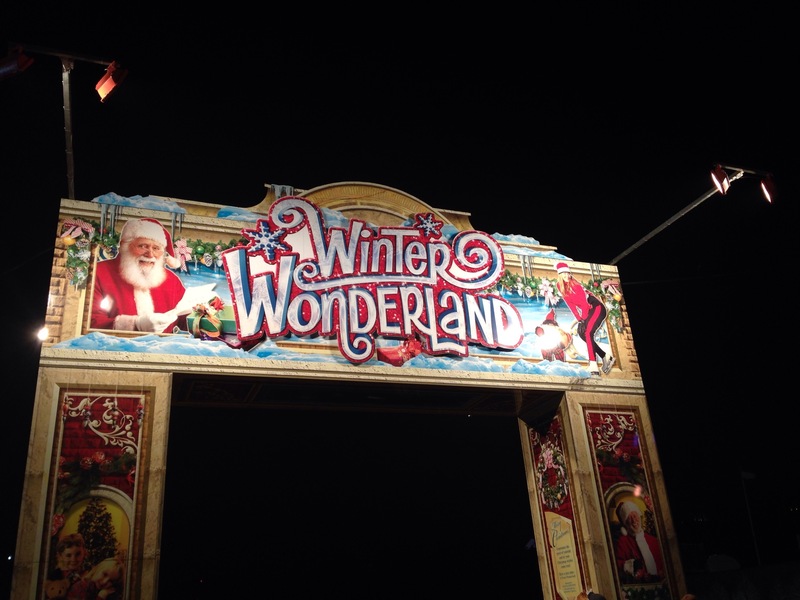 Thankfully London has the answer, Winter Wonderland! 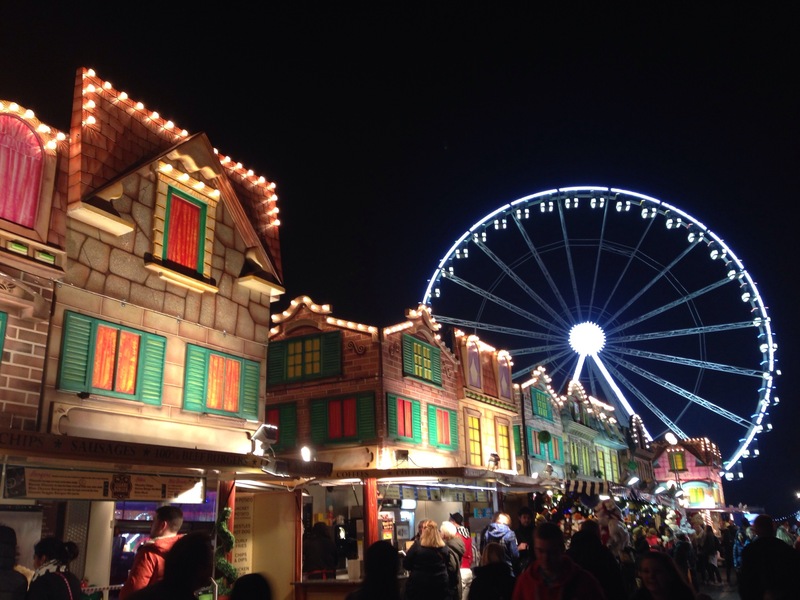 Officially opening last Friday night (21st of November), Winter Wonderland recreates the feeling of European Christmas Markets in the middle of Hyde Park and is the perfect place to stoke up the festive spirit. Winter Wonderland is part amusement park, part traditional Christmas Market and part Oktoberfest celebration, so really there is something for all ages. The grounds were packed on opening night and there was such a fantastic atmosphere in the air. There were various stages scattered throughout the grounds with bands playing to get people in the mood. There is an ice skating rink for the more adventurous, the only thing missing on friday night was the big guy in the red suit! Row upon row of stalls lead into the heart of Winter Wonderland all selling a variety of handicrafts, Christmas ornaments and food. 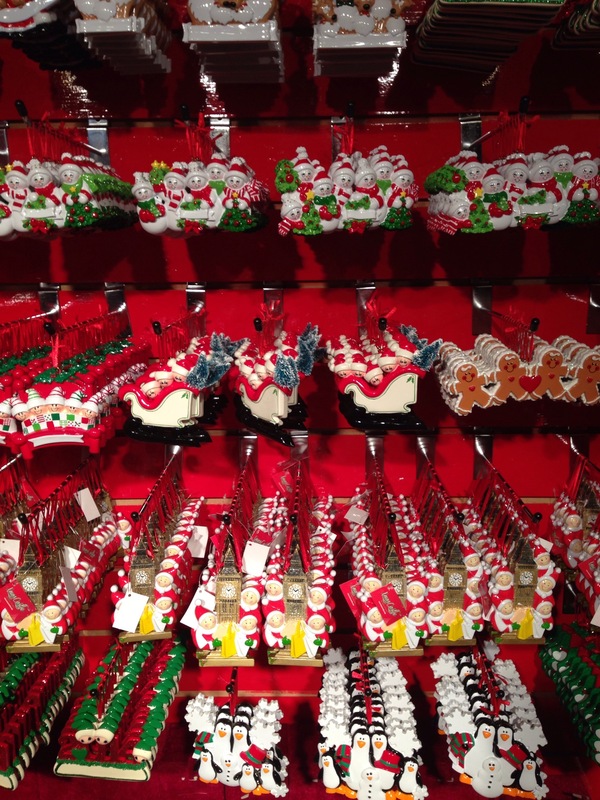 Hand crafted Christmas decorations, scented Christmas candles and huge drums of Haribo confectionary (typical of German Christmas Markets) can all be found. Self service Haribo confectionary, yum! However, we cannot fail to mention the traditional food and drink! 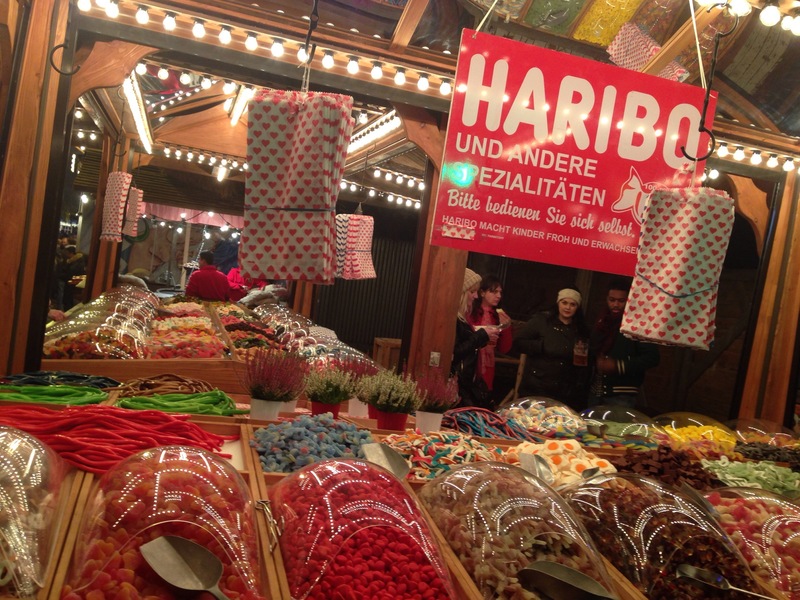 Just like the German markets, nearly everywhere you looked there were stalls selling Glühwein or mulled wine. ‘Glow Wine’ (a very rough translation) is a mixture of red wine and spices including cinnamon, cloves and aniseed, with the potential option of adding a shot of spirits. It is the perfect drink to warm you up and get you into the festive spirit! To complement the traditional German wine, there are enormous bratwurst stalls as well as pretzel stalls, hog roast vans and burger vans. 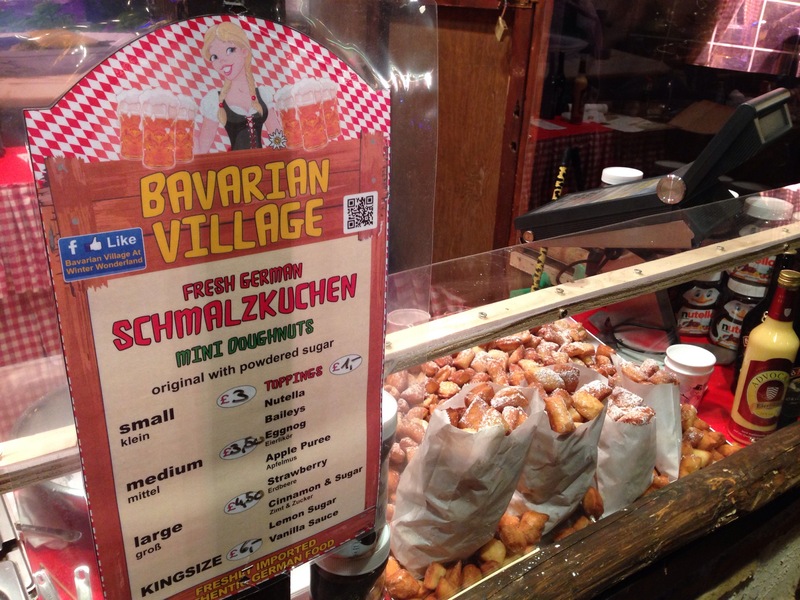 I introduced Natalie to her new favourite German treat, schmalzkuchen, small deep-fried balls of dough covered in icing sugar, whats not to love?! *Winter Wonderland is open daily from 10am until 10pm (except Christmas Day when it is closed) until January 4th. Located in Hyde Park, the closest Tube stations are Hyde Park Corner or Green Park. 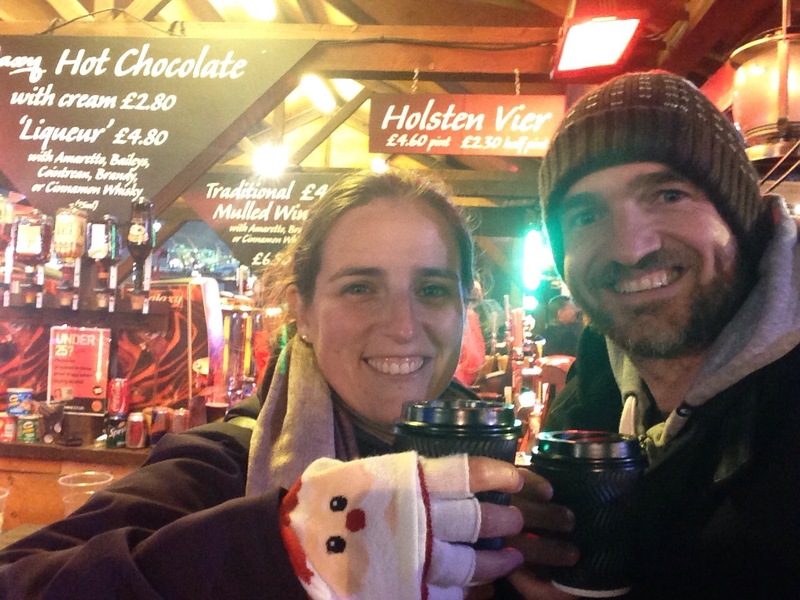 This entry was posted in Hometown Tourist, London and tagged Christmas, Christmas away from home, Christmas in London, Hometown Tourist, London, London Christmas markets, Winter Wonderland. Hey guys! Looks amazing. I will have to do this or the European Christmas markets one day. This is something we do not get at all in South Africa possibly because it is extremely hot here as it’s our Summer. Not sure how I’ll handle the European or British cold though! Thanks for sharing!